OK, I survived my two twelves, and today was my first day of recovery, when I take a breath and make my record. 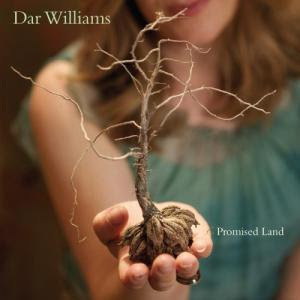 It's 5:30 in the evening, I'm putting together this post and listening to the latest release by Dar Williams. To most, I imagine Dar Williams is pretty much unknown. To those who are fortunate to have discovered her, she makes life nicer just listening to her. I seem to be coming off this stick-in-the-eye/struggle to sleep period much less easier than I would have hoped. Although I have very little irritation left beneath the affected eyelid, I still seem to have difficulty getting to sleep, even when I am exhausted, which I can only attribute to having relied upon Ambien to get what little sleep I have had these past weeks. I try to tough it out and fall asleep on my own, thinking that simply being so sleepy I am the walking dead should suffice to knock me out. Doesn't happen. I ended up getting up last night almost at 2 AM and taking a pill, cursing myself for having surrendered. Tonight, I will take a half pill, taking the advice I got from someone I trust that maybe it is best I wean myself from the sleep aids rather than trying to go cold-turkey. Crap, and to think I remember quitting cigarettes (with the help of Chantrix) as not half as hard as getting a decent night's sleep....sheesh! The minor sabat of Mabon is approaching, otherwise known as the autumn equinox, that point in the season when daylight and dark are equal. From that day forward we will lose daylight to the dark and winter will advance upon us, although with global warming it remains to be seen if it can truly be considered a "winter". I do so miss those days, and the places I've lived, when the seasons were true and you could expect the thermometer to act a certain way depending on the time of the year. Now....sigh......I miss those days when seasons were seasons. 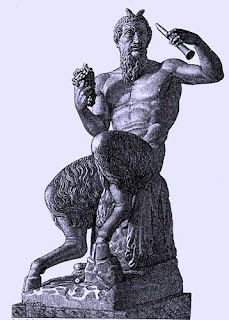 Thank Pan, he of the cloven feet and mischievous character, our friend Billy has returned to his old, obnoxious self, getting over whatever ailment had laid him so low a few days ago. You never expect yourself to pine for bad behavior, but Billy is just being a goat, and I would truly miss having him drag me across the yard attempting to sample something he knows is forbidden, for only goats seem to know that THESE are the best things to eat in all creation! This entry was posted on Wednesday, September 10, 2008 at Wednesday, September 10, 2008 . You can follow any responses to this entry through the comments feed . That explains it. I saw few fireflies this summer in Kentucky. Used to see thousands. Give me Deep Purple anytime... It soothes the savage beast! I believe the fireflies are gone around me because they spray for mosquitos all the time. We see them in our back yard and field, just because the spray can't get back there. I saw one the other night out front, just before the bug man came by. dernit. You may want to try Valerian. My Chiro recommended it for a sleep aid. He said it was a natural muscle relaxer. Helps your body relax so you can get to sleep. You can take it at any time during the night and not have the dopy morning after effects. Good to hear about Billy.